Movie enthusiasts following the Sundance Film Festival will no doubt have been keeping an eye on Cyrus. This offbeat comedy stars John C. Reilly, Marisa Tomei and Jonah Hill and was written and directed by Mark and Jay Duplass. This is the same filmmaking duo that created The Puffy Chair and Baghead, so filmgoers will have an idea of what to expect with Cyrus. In the film, John (John C. Reilly) is depressed after finding out his ex-wife is getting re-married. Luckily for John he meets Molly (Marisa Tomei) and they hit it off until Molly’s 21-year-old son, Cyrus (Jonah Hill), enters the picture. Cyrus and Molly have a very deep connection that may not allow John to build something with Molly. Cyrus recently premiered at the Sundance Film Festival and the cast and crew celebrated with a party at the Bing Bar in Park City, UT on Saturday, January 23, hosted by Tequila Don Julio and Movieline.com. Maria Tomei looked absolutely gorgeous that evening as she chatted the night away with co-stars John C. Reilly and Jonah Hill. Tomei’s boyfriend, Logan Marshall Green, was always close by. The couple were rarely apart and burned the dance floor together before being the last two to leave the party. 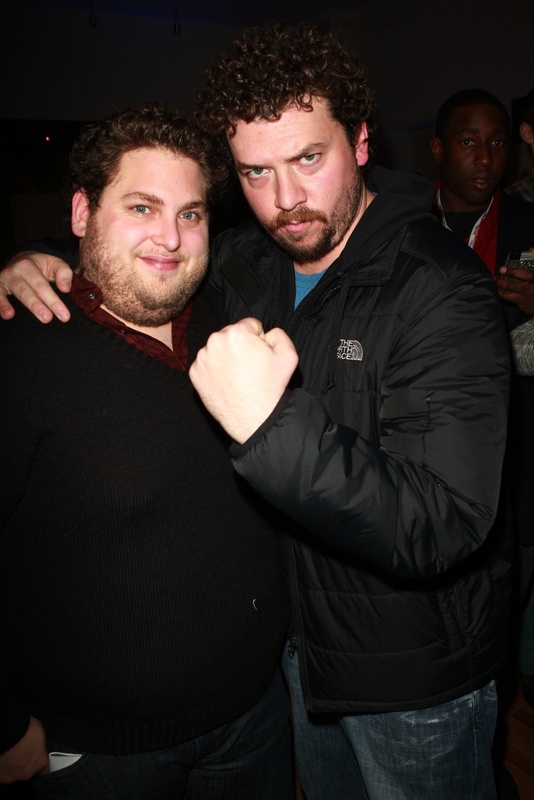 Jonah Hill and Danny McBride. Other highlights of the evening included Jonah Hill who showed up to the Cyrus party with his significant other and met up with party guest Danny McBride. The two posed for a couple of quick pictures. Kristine Elezaj passed the time taking shots of Don Julio with musician QuestLove from The Roots. Finally, Tomei and Reilly were both given vintage bottles of Don Julio. Nothing says appreciation like fine liquor! 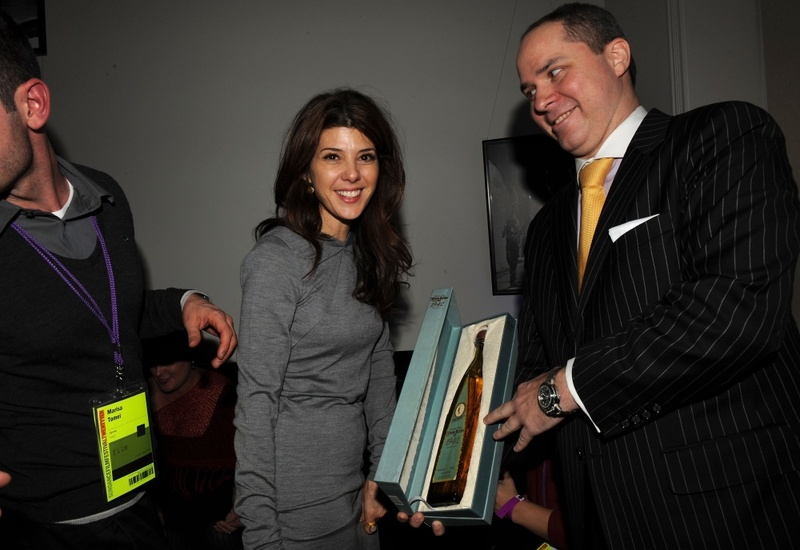 Marisa Tomei and a vintage bottle of Don Julio tequila. Marisa Tomei is the life of the party! Kristen Elezaj and QuestLove burning the tables. 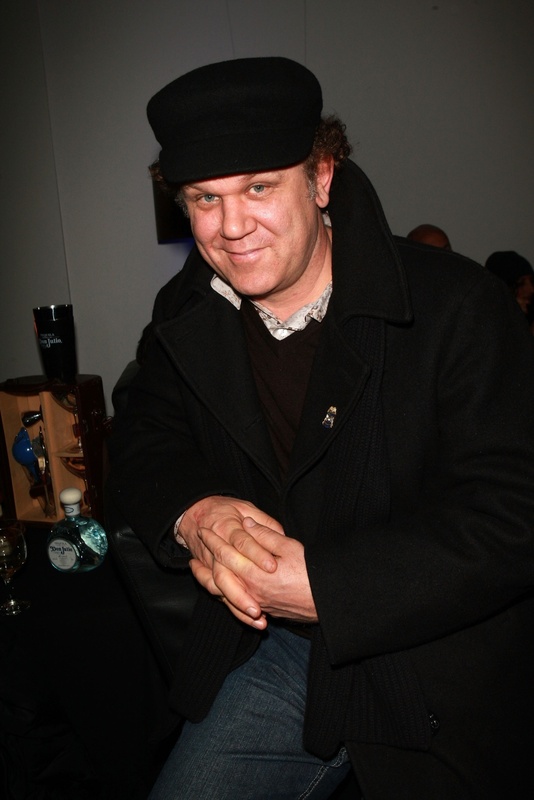 John C. Reilly looking dapper.